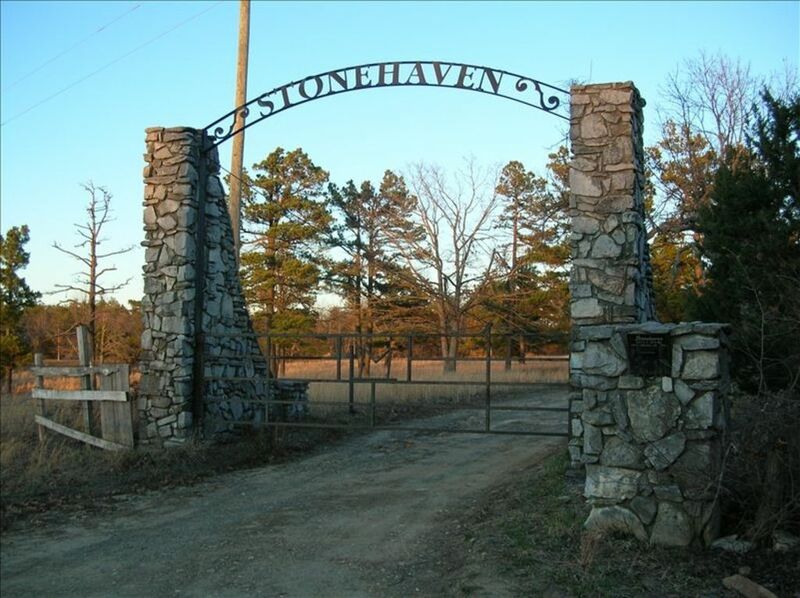 Visit Stonehaven - a quiet, secluded mountaintop home in the heart of the Ozark Mountains. Breathtaking views from large windows in living area and bedrooms. Enjoy 93 acres of woods, grassland, pond and streams... ideal for private hiking, mountain climbing, four wheeling, wildlife viewing and hunting. Minutes from 1000's of acres of national and state park lands. Centrally located for day trips to Blanchard Caverns, Eureka Springs, the Scenic 7 Highway, Mountain Home and antique shops. Scenic drives abound around every corner. Access to the Buffalo River and outfitters just 30 minutes away. Hunters can enjoy great turkey, deer and bear hunting opportunities on the property as well as on nearby management areas. This place is awesome, if you are looking to get away from it all this is perfect. There were 12 of us there ranging in age from 11 to 51, and everyone had a blast. Very private, we got our children to unplug from their phones and enjoy some real family time. We hiked the falls in the Richland Creek rec area, beautiful, we enjoyed our morning coffee on the back patio overlooking the mountains. At night the sky is pitch black, bring your telescope you will love it. The accommodations were perfect for our family. We are going back in the fall for the season change. Amazing view and great house! Looking forward to reserving this cabin again next year! We're happy that you loved it as much as we do. We look forward to renting to you again. Thank you. Wonderful rental property for anyone wanting to get away, off the grid. The kitchen and sleeping accomodations were very nice and the view out over the valley was beautiful. I do like the ability to stay a little in touch with the world around me so the ability to watch TV, at least the local news, would have been nice. Other than that, it was really nice to come back to a very nice home after a day of enjoying the outdoors. We have enjoyed our stay thoroughly! The house has amazing views and at a peaceful location. We went for a small hike and enjoyed the outdoor fire pit. Caretaker Nancy was very nice and friendly to us.We only had some minor issues during our stay like, Master bathroom had drain clogging and a spider crawling on one of the guest beds. Other than that, House, Location and everything else was beautiful. As our renters stated the place is beautiful, peaceful and a great retreat all with the comforts of a home. We have taken care of the drain problem and we will be checking to see if the spider was an isolated incident or if we have a bigger problem which we will deal with.